SPRINGFIELD, Mo. 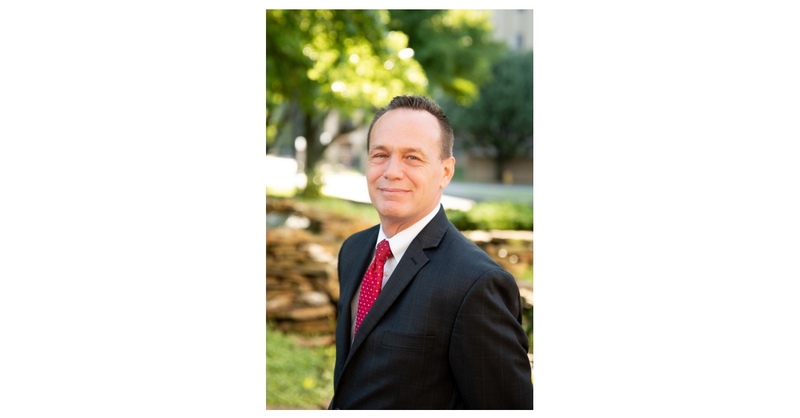 & ALPHARETTA, Ga.–(BUSINESS WIRE)–Atrium Hospitality today announced Michael Bloom and Christine (Chris) Ruble have been appointed to area management positions in Springfield, Missouri, for one of the nation’s largest hotel and asset management companies. The promotions name Bloom as an area general manager and Ruble as a regional director of sales and marketing. Combined, the two hospitality veterans bring six decades of hands-on hotel management, sales and food and beverage experience to the advancement opportunities for the Alpharetta, Georgia-based company. Ruble’s sales responsibilities also encompass the 267-room/suite University Plaza Hotel & Convention Center, as the hotel’s director of sales and marketing. In addition, Bloom will serve as the new general manager of the Holiday Inn Express & Suites Springfield, adjacent to Hammons Field, an award-winning minor league baseball stadium. Bloom has a long history in Springfield, having served in hospitality positions for 20 years in the “Queen City of the Ozarks.” Most recently, he was general manager at Atrium’s 188-room/suite Holiday Inn & Suites Springfield – I-44, including overseeing 8,000 square feet of meeting space. His experience in Springfield also includes serving in assistant general manager and food and beverage director positions at the University Plaza Hotel & Convention Center on behalf of John Q. Hammons Hotels & Resorts (JQH). In addition, his extensive career comprises management positions at the 103-room Cocoa Beach Oceanside Inn in Florida and for the 1800-passenger Big Red Boat for Premier Cruise Lines in Cape Canaveral, Florida. In the Chicago area, Bloom’s experience spans diverse management roles for Taboo Bistro, Holiday Inn, and Park Hyatt Hotel. Bloom is active in mentoring hospitality talent in training in conjunction with Missouri State University. He attended Daley Community College in Chicago. Overseeing sales and marketing responsibilities for four hotels, representing 665 rooms/suites, Ruble, a Missourian, will leverage her established hospitality background in the Springfield area with her expanded role. For 15 years, she has served as the director of sales for the University Plaza Hotel & Convention Center, which is ranked the largest hotel in Springfield based on the number of guest rooms. Ruble’s career also includes director of sales positions for properties under well-known hospitality brands, including DoubleTree by Hilton and Holiday Inn, among others. The Events Industry Council (EIC) recognizes Ruble as a certified meeting planner (CMP). She is involved in professional associations at the national and local levels and is the current past president of the Springfield Hotel Lodging Association. Ruble is a board member of the Springfield Sports Commission and a member of the Religious Conference Management Association (RCMA), with her initial membership dating back 18 years. She is the current president elect of the Springfield Business Builders Club, having served in several leadership positions for the organization. She holds a Bachelor of Science degree in recreation and leisure studies with an emphasis on business/marketing from Missouri State University (SMSU). Atrium Hospitality is one of the nation’s largest hotel and asset management companies. Headquartered in Alpharetta, Georgia, the company oversees a portfolio of 82 hotels in 29 states, representing well-known brands such as: Hilton, Marriott, and IHG, among others. With nearly 10,000 passionate associates, Atrium operates 21,595 guest rooms/suites and approximately 2.3 million square feet of event space. Being a responsible community partner is a part of the Atrium culture, including supporting a range of civic and community activities. Atrium is proud to support the Clean the World® initiative to recycle hotel soap and plastic amenity bottles for distribution with humanitarian purposes in communities domestically and around the world. For more information about Atrium, visit www.atriumhospitality.com.